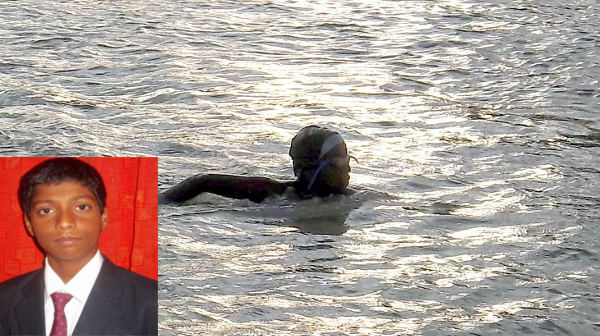 Aditya Shailesh Prabhu studying at the KLS English Medium School, Belgaum swam 81 kms non stop for 12 hours, 29 minutes and 43 seconds in Bhagirathi river at the 71st open water long distance swimming competition held in Jangipur (Murshidabad district – West Bengal) recently. He was the youngest amongst the competitors. Only 12 swimmers could complete the stretch amongst the 25 who participated. Aditya is getting trained in swimming under the coaches -Vishwas Pawar, Amit Jadhav, Sandeep Mohite and Amruta Mohite. Aditya started practicing 8 hours a day and once in 15 days, he practiced for 12 hours. From morning 5 am to 12.30 pm, he was seen practicing in pool from 1 pm to 3.30 pm, he attended the school and again from 5 pm to 8 pm, he was back again in water. For this training the school also co-operated. Aditya now aspires to swim across the English Channel next year if all goes well. He is still not sure if the authorities would allow him to do so at this age, but he seems determined. Encouragement and guidance should be provided to these persons who come forward to shine the name and fame of Belgaum. I wish him all the best in his future tenure. Such students should be encouraged to participate in thier interested areas to bring the name & fame of Belgaum City.